With her 9th storytelling session, Arthi Anand is close to completing her ten sessions for the TENTASTIC Campaign. 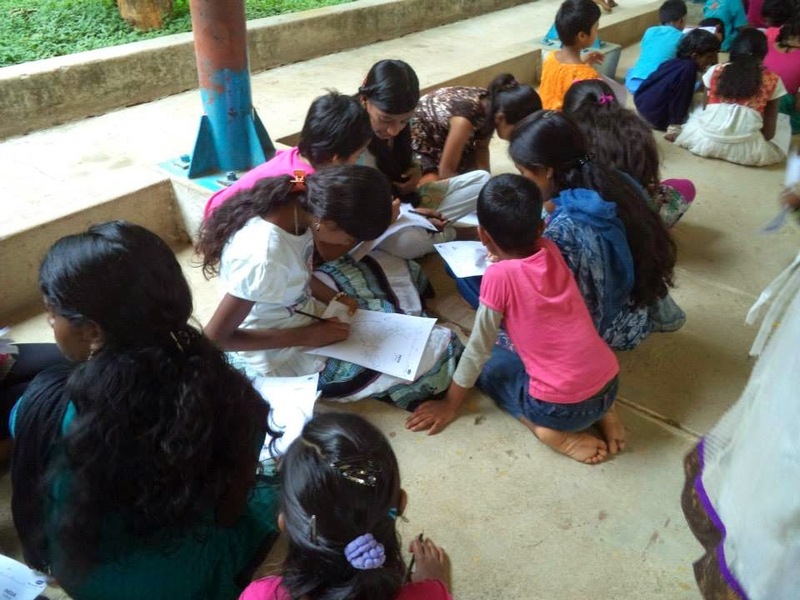 Arthi Anand breaks her previous record of conducting a storytelling session with 92 kids. 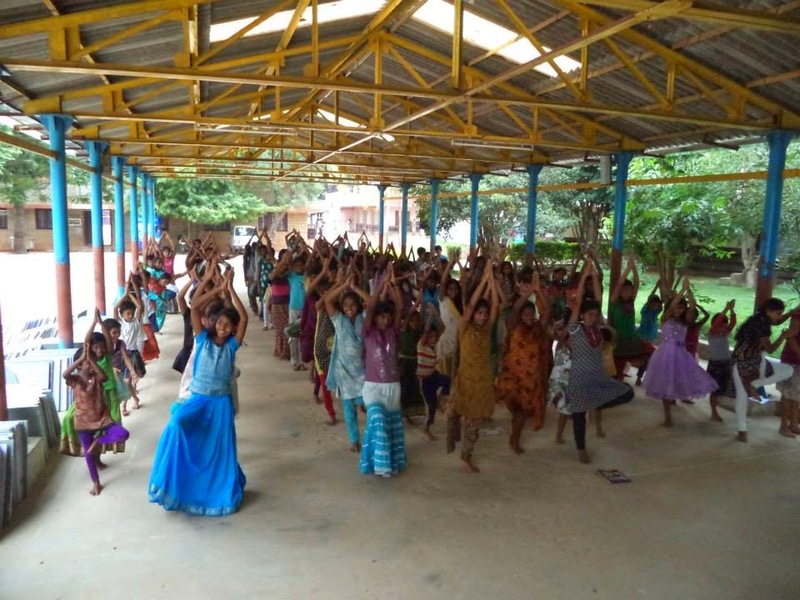 This time, she is back after conducting a session with 130 kids! Kids aged 7 to 16 participated and there were over 130 of them in all!! 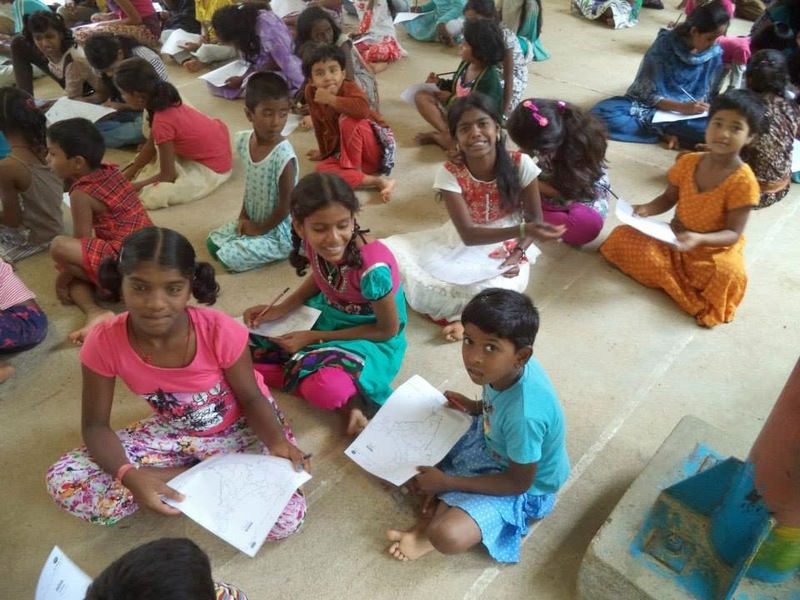 C. Mangalam Senthil shares photos and notes from her first storytelling session at Yadalamma Govt School, Kanakpura Road, Uttrahalli. Yadalamma Govt School, Uttrahalli is a place where I have previously been to conduct a storytelling session. When I reached there and asked the kids if they remembered me, they shouted....puppet, monkey, butterfly, caterpillar. They had forgotten my name as I it had been a few months since I met them. However, the story (Monkey Puzzle) remained in their memory and I was happy. We played the 'idli, vada, tea' game and then we all settled down. And I then told them that I would be telling them two stories from Pratham Books. The 35-40 children of class 1-3 were all ears for the story of "Mimi & the Buffalo". Then they all hugged each other like how Mimi hugged the buffalo. Then two children came up and told the whole story again in front of the whole class. I told the stories in English as I am not fluent in Kannada. 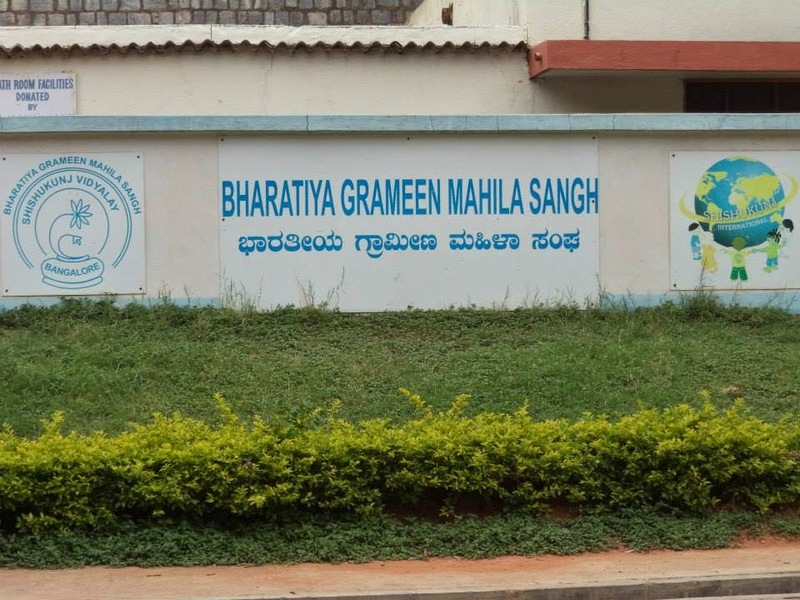 So, if the children said that they did not follow any part, the teachers there would translate those parts into Kannada for them to understand. Told them the story of Yakity Yak... They all went Yak, Yak, Yak. On the board, then drew the picture of a Yak with all its friends. The children enjoyed looking at the colorful illustrations of both the books and they had a great time. Many of them came and shook hands with me and asked when I would be coming next. I was humbled! 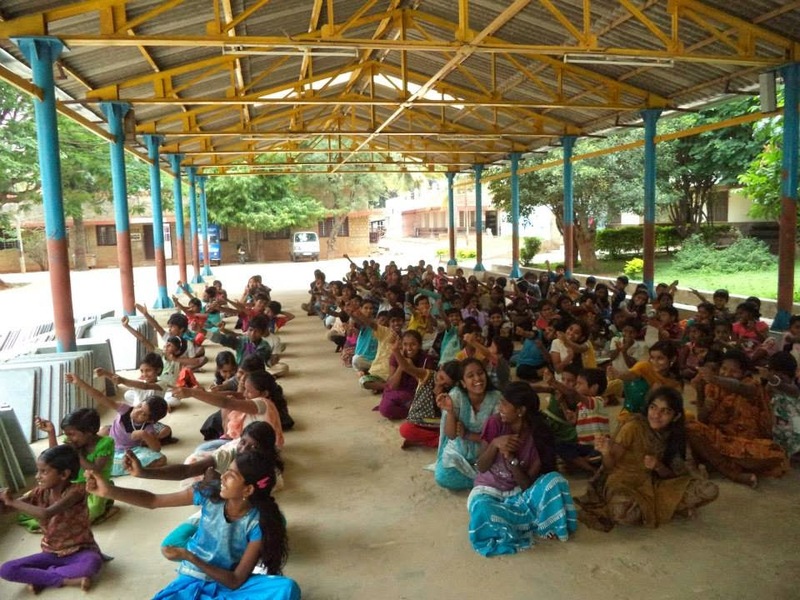 Thank you Mangalam for helping us spread the joy of reading! Neela Gupta writes in to share how she, Pooja and Shweta conducted a storytelling session to celebrate their friend's birthday. Neela has worked as a librarian for about 30 years in different kinds of libraries (research library, an industrial library, a public library, a college library and school libraries). 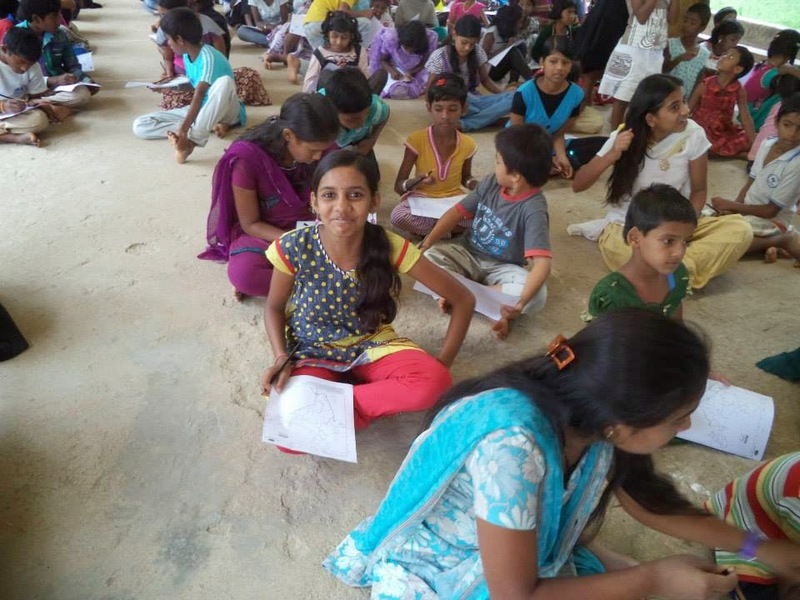 Neela has also volunteered with different underprivileged groups and tried to introduce them to the world of books. Pooja and Shweta are currently studying in third year of MSU BBA and works as helpers at AURA. 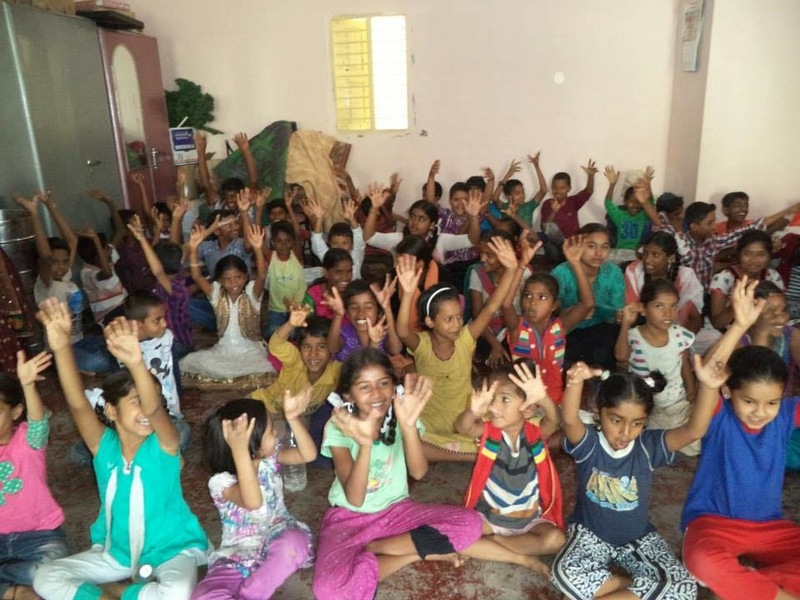 We, Pooja, Shweta and self celebrated friend Vaishali's birthday by sharing a story and then playing games with children and adults of a rag pickers' community. (Instead of using the the word 'rag pickers', we call them the Eagles group). These children do not go to any regular school for various reasons. 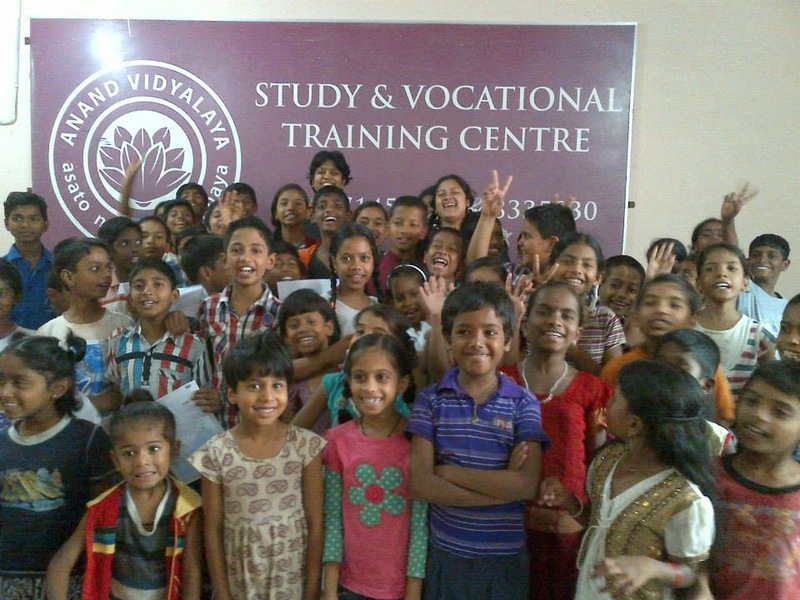 When Vaishali came to know about this, she started giving them her time twice a week. We too decided to gift our time to her Bacchas instead of buying any material gift for her. 2 years ago we had celebrated her birthday by gifting a library of Pratham Books for her under served children's center. This year, she is also serving the Eagles group and teaching them to read and write. Often, she carries Pratham Books among many other books for them to read and for some who can not read, they love to look at the beautiful illustrations and touch, smell books. It was so touching for me when I saw how mothers left their work and slowly the group became bigger. Couple of them who could read, started reading and they also requested us to come again with books so that they can also learn with their children. We realized how hungry they are for learning! 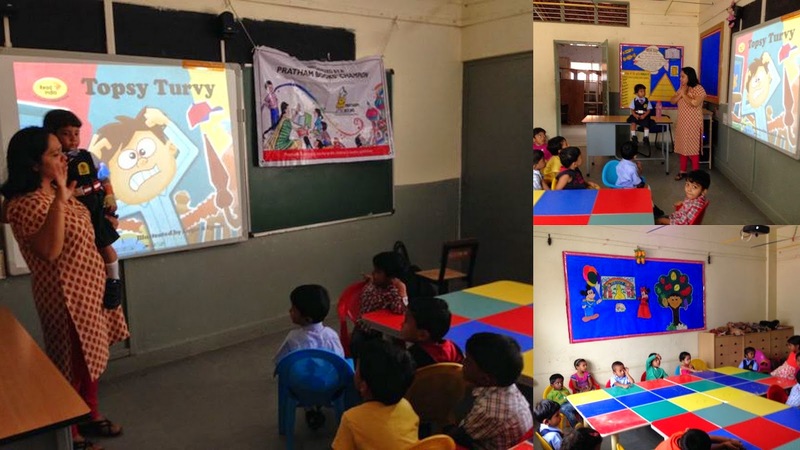 Thank you, Pratham Books for giving us this opportunity. 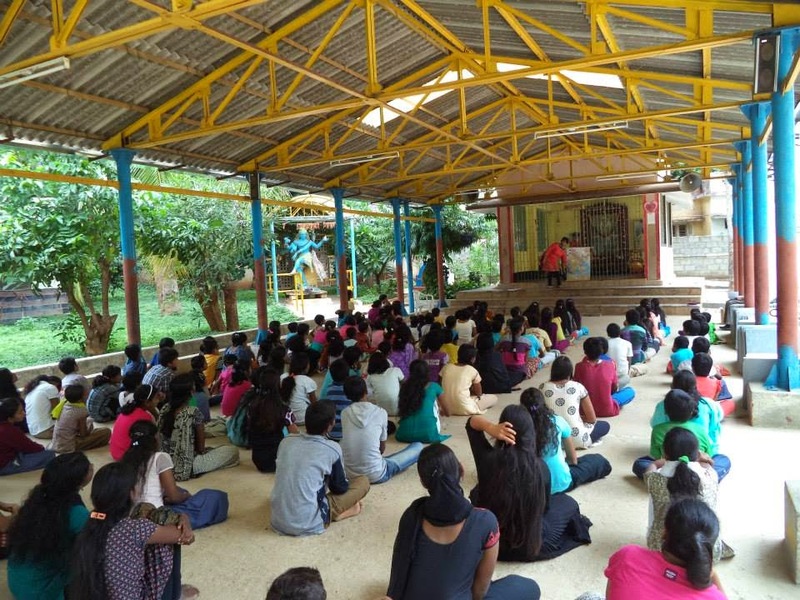 Priya Muthukumar from Storipur is back with tales from her 3rd and 4th storytelling sessions. Priya conducted this storytelling session as part of Storipur. As a student counselor and educator, she enjoys all her interactions with kids. Writing, telling stories and simply being with Mother Nature are few of the many things she loves to do! 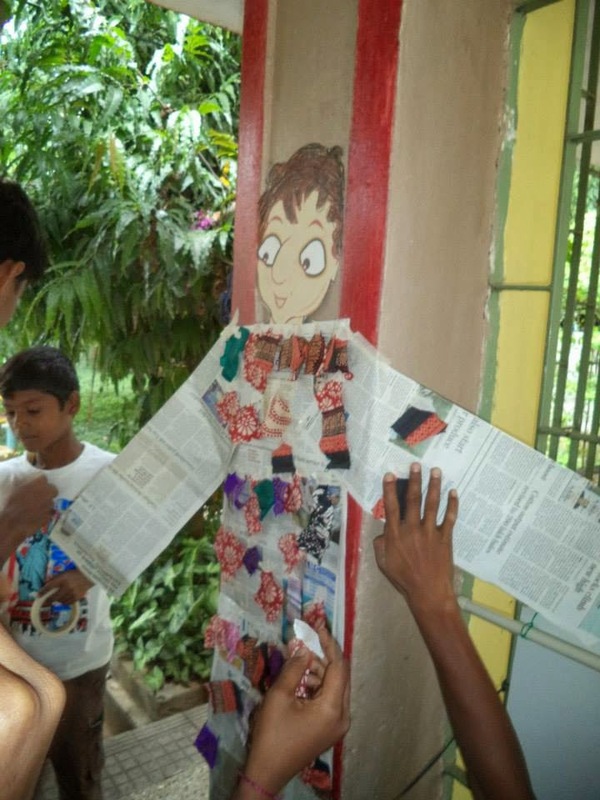 Storipur intends to fill up the gaps, through the ancient art form, storytelling. Sharing stories about environment, countries, societies, cultures and about all ourselves: it's Storipur's humble attempt to build responsible communities. Just imagine, with complete concentration you are writing down the notes being dictated on the ‘ Parts of A Plant’ and then quite unexpectedly (definitely , a first time of sorts) a stranger along with the Headmistress walks in....and what unfolds is a funtabulous ( fun+fantastic+ fabulous) storytelling session! Now, today’s storytelling session (03rd July, 2014) was a complete surprise for my little friends in Class 1 and 2 at Sujana Convent. Well, this time, I’m not telling you much ... the pictures speak for themselves, volumes and volumes! Two sessions for classes 1 and 2 . Paplu , The Giant and The Missing Bat were the stories told. Several interesting conversations were triggered ~ ‘ what do you call a cricket bat in Kannada?’, ‘ would you like to have a giant like Paplu as your friend? ‘ ....etc. Anyways, I loved the experience today at this school, every bit of it! And Paplu undoubtedly, became their hero too! Well, the kids were even more excited when I told them that they had to become tailors stitching Paplu's imaginary dress. Once the dress was ready, I pretended to hold the dress and asked them what colours they could see...promptly, they named every possible colour! And I prodded further about what else they saw in this imaginary dress I held..they rattled non-stop about buttons, collars, ribbons etc. And the concoction of words they babbled to create the magic mantra, it was hilarious! These were two classes of around 35 kids each. 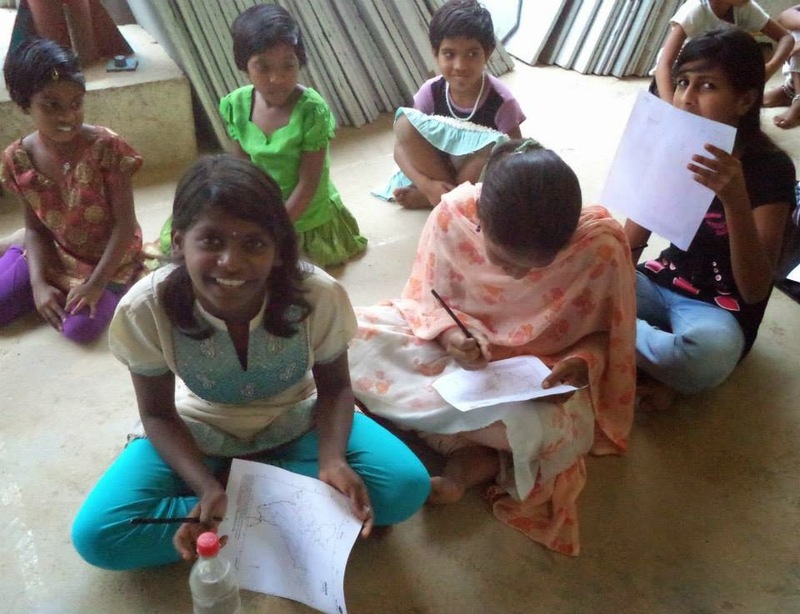 Thank you Priya and Storipur for helping us spread the joy of reading! 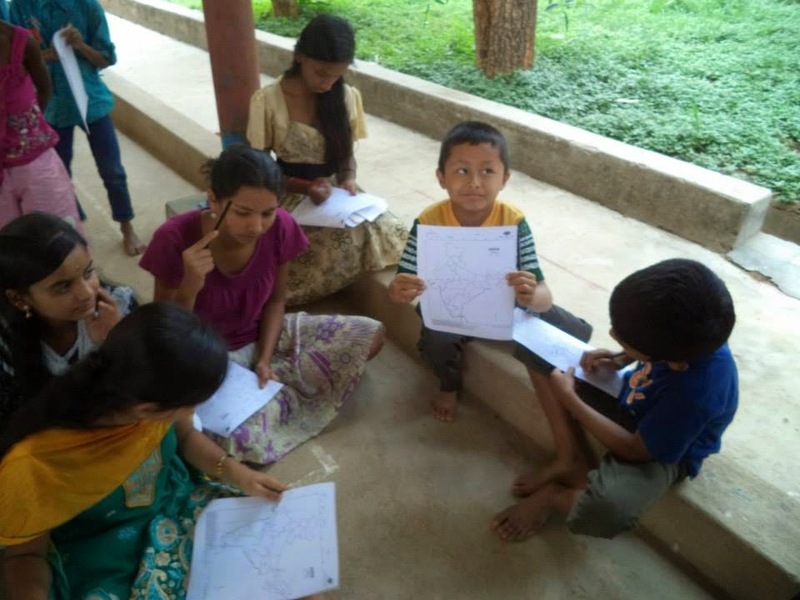 Smitha H S sent us the following post about the storytelling sessions she has been conducting. 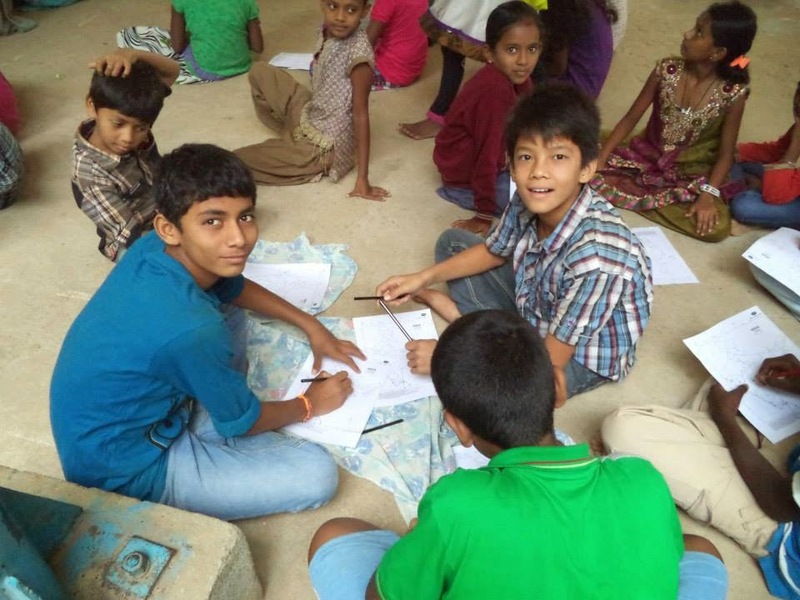 Smitha is a mother of two kids who enjoy stories and reading Pratham Books and is a lawyer by profession. As part of the Tentastic campaign, I am telling stories to children at SG International Public School, Nandini Layout, Bangalore. The Principal and the school staff have shown great support and enthusiasm in allowing me to come in and share stories with the kids now and then. So far , I have conducted two sessions ; one for nursery kids and another for prep-I (LKG) students. Below is a brief report of each of the sessions and photos. The kiddies had just begun their first ever week in a school. The story of a boy dreaming/waking up to magic in the house kept them entertained! Even weepy ones paid attention to small details of the story and had something to share at the end. The teacher told me she will be telling them more Pratham Books stories during this year. All the kiddies, about 60 of them gathered in the school library and were a curious and happy bunch. Animal and bird stories are always a hit. So I started with The Generous Crow. Kids had a great time cooing and cawing like koels and crows. It was one noisy story telling session which I throughly enjoyed. Since they wanted one more story, I picked Smart Sona and they loved it too. Thank you Smitha for helping us spread the joy of reading! 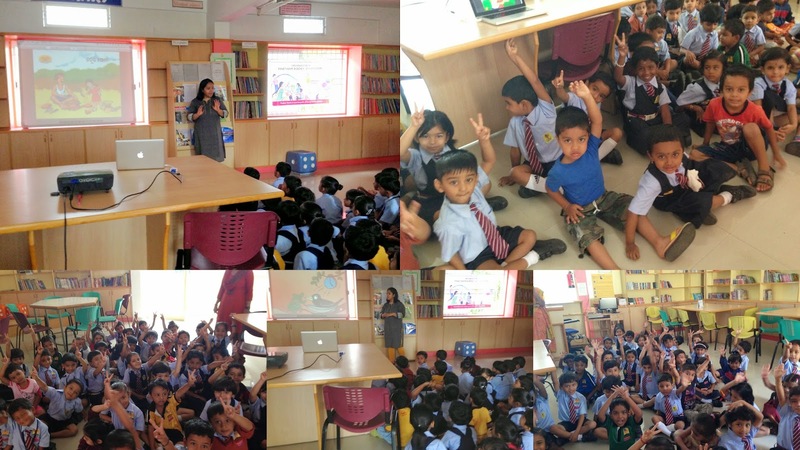 Lopamudra conducted 3 storytelling sessions in one day. She went on to conduct 3 more sessions in the month of June. Lopamudra is a storyteller and an educator who loves to be surrounded by children and join them in shouting, jumping, running, dancing etc. It was an action- based storytelling. This was done by finger-placed reading and actions of the words were done as it was uttered. Then they had to play dumbcharade with the same words to reinforce reading , understanding and enacting. Concept 1: Exposure to understanding the action words. When I read the word, I enacted and children followed the action. Then played a game of " Fire in the mountain run children run with repeatation of action words and actions accordingly. Concept of Character: Different characters drawn on a piece of paper. They had to identify the character and colour.